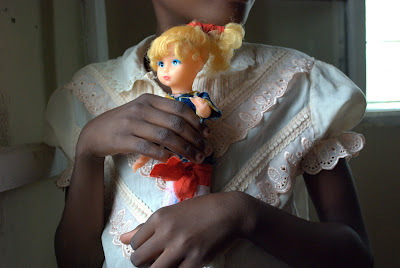 I think it's a bummer that all Mozambican dolls look like this. iiiii know! when i first moved in with my host family, my sister said i had hair like a doll's and started playing with it. i gave her a look and asked what kind of dolls she had been playing with, but she didn't get what an uncomfortable situation it was. i really like your picture, though! Grrr. That's a problem in the states, too, but how sad to see it thousands of miles away.